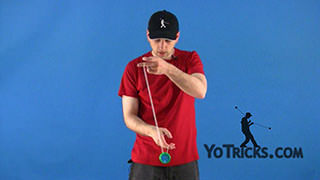 Hook (i.e. 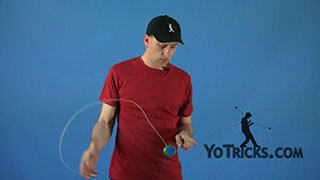 Hidemasa Hook) Yoyo TrickThis trick is called the Hook or the Hidemasa Hook, and it looks like this. 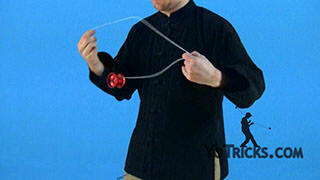 The Hook, as you can see, if very similar to the modified laceration that I showed you. 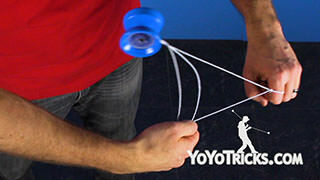 It is going to start off the same way. 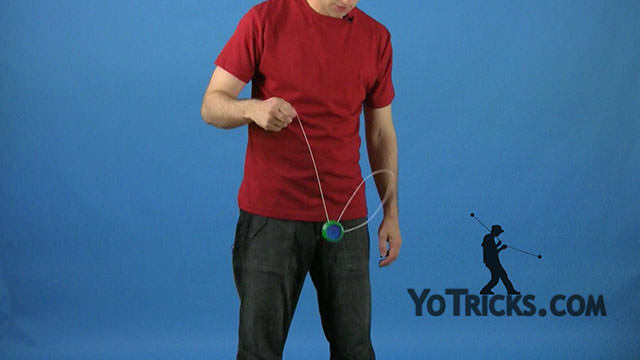 You are going to throw your Breakaway and you are going to pop the yoyo up and you are going to just swing the string right underneath it. 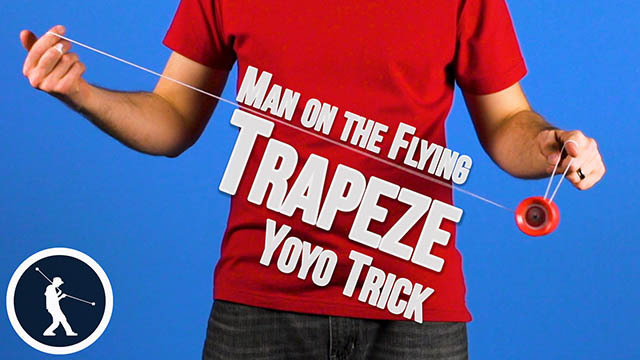 With the Laceration, all we did is we just caught one of the string with out first finger and landed our trapeze. The hook is going to be different because we are going to take both strings, the kind of form a hoop just like this, we are going to take both strings in that hoop and allow them to run right into our finger and actually fold over it. 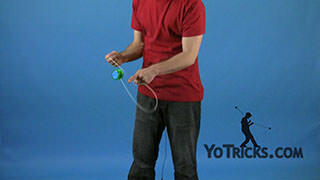 The outside string of that hoop is going to wrap right underneath the yoyo and that is what is going to form your hook. 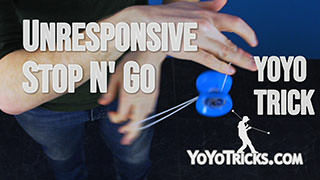 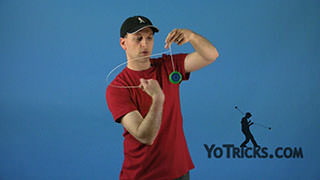 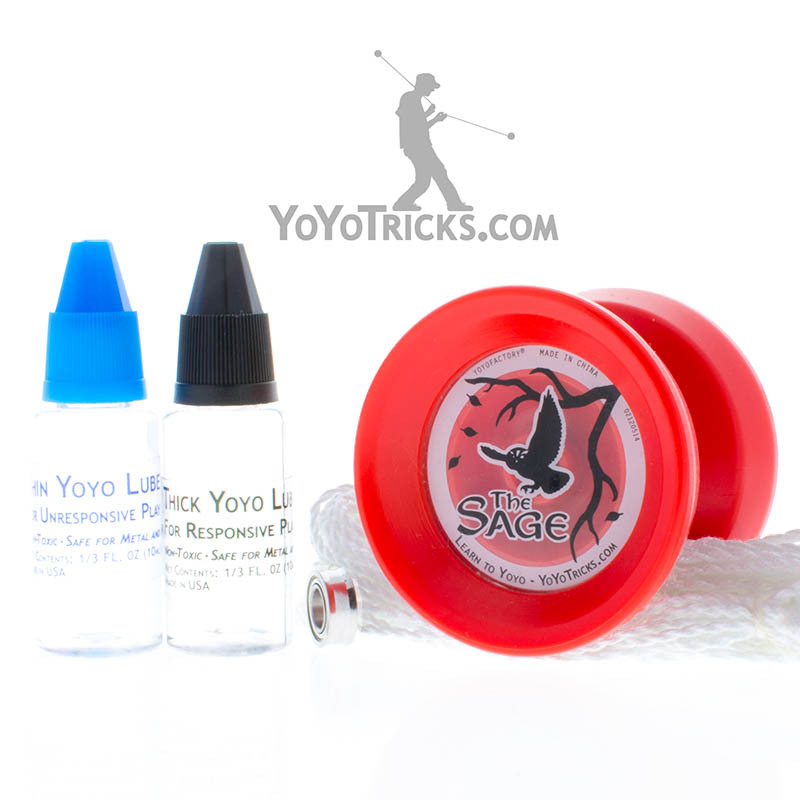 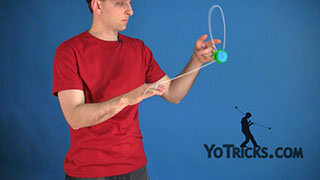 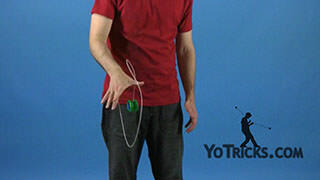 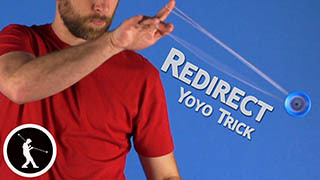 Once you have got it here, to dismount, all you are going to do is flip the yoyo off to the left and you can just take it right off the string if you want and then do your bind. 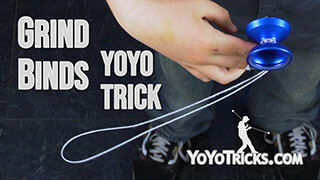 But what you will notices, is once you’ve got your hook it actually sets you up perfectly for a bind. 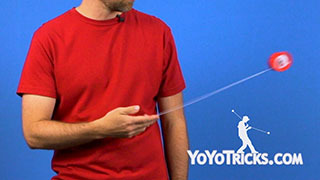 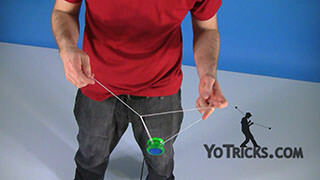 You can just pinch the string right here and lift with your yoyo hand. 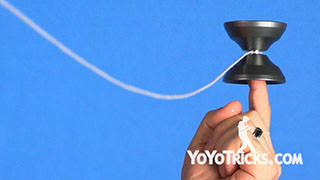 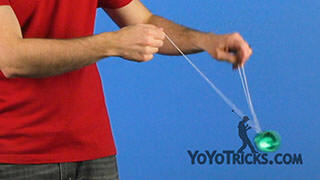 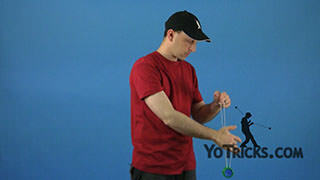 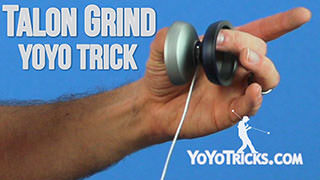 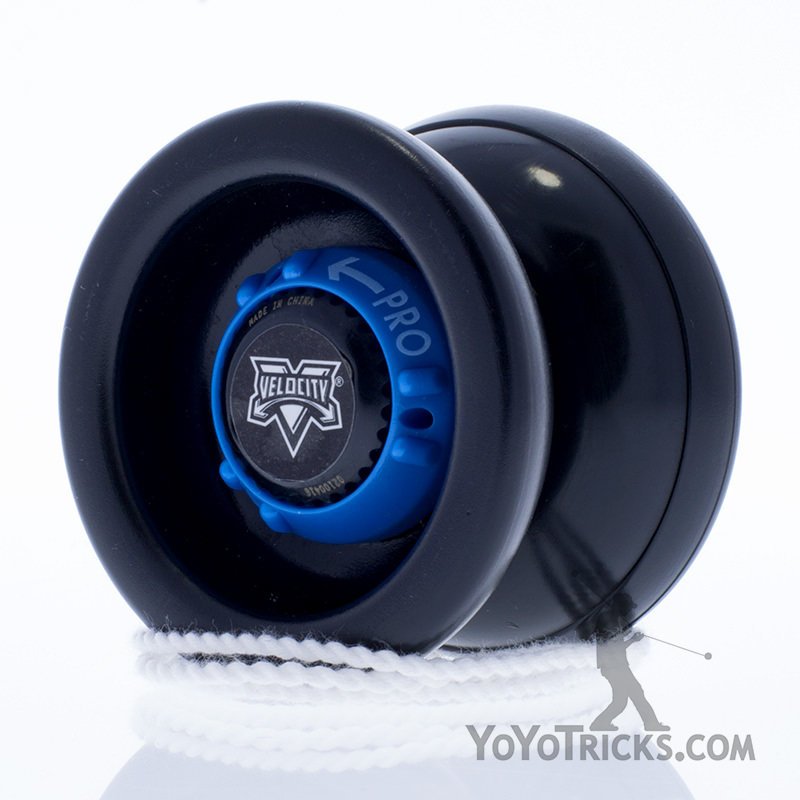 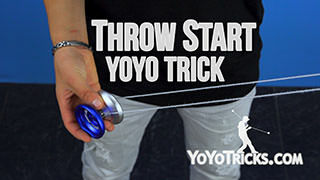 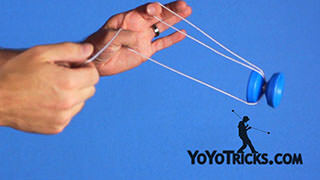 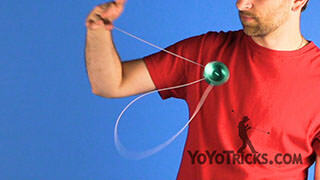 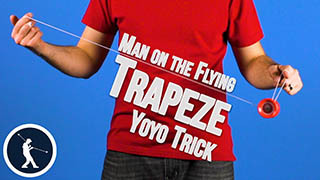 That will bind the yoyo and bring it right back to your hand.